Chinese technology giants are partnering to explore options in artificial intelligence, deep learning and IoT. Two of China's largest technology giants are teaming up to explore their options in a number of areas, including artificial intelligence, deep learning and IoT. 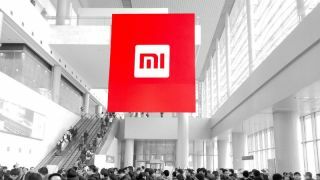 Xiaomi and Baidu have just made their little marriage official at the Xiaomi’s first developer conference in Beijing, and will look for innovations in the fields of voice recognition, deep learning and computer vision, but also in DuerOS. For those who were unaware, DuerOS is Baidu's operating system that is already present in some of Xiaomi's devices, albeit unbranded. "Xiaomi has accumulated solid experience in smart hardware, big data and established a smart devices ecosystem," Qi Lu, Baidu's vice chairman, group president and COO, said in a statement. "Baidu has strong technological fundamentals in AI, and with Baidu's conversational AI system DuerOS, we are using our world-leading AI technologies and information ecosystems to support the development of the IoT industry." The two companies did not disclose any details about the things they will be working on, but the media are saying that besides the abovementioned fields, they might also look at robotics, AR and VR. Baidu is China's variant of Google, while Xiaomi irresistibly reminds of Apple with its business model. The media are speculating if this partnership only aims for the domestic market, or if the duo is planning on going global. McKinsey Global Institute’s recent report says the potential economic impact of the IoT in 2025 could be between $3.9 and $11.1 trillion.